The world’s largest exhibition for AV and systems integration attracts many brands that come to Amsterdam to show off their unique products and amazing technologies. FIBARO meets Amsterdam again at the world’s largest exhibition for AV and system integration professionals with some new product launches. 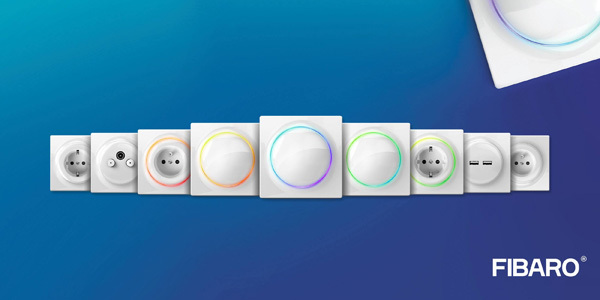 FIBARO Walli is a new, complete line of sockets and switches that connects smart and classic devices that will turn your ordinary home into a smart home that knows what to do. The portfolio includes a full range of devices, which allow the user to maintain visual consistency throughout the entire house. Additionally, Walli stands for daily savings due to reduced electricity consumption by automated light management or smart power shut off of the devices being in standby mode. Brand new series of switches and outlets are perfect not only for individual customers, they will certainly appeal to real-estate developers. Smart Implant is a device that allows almost any equipment to become a smart element of an entire smart home system. An old turntable, amplifier, a classic coffee maker and other retro equipment can be controlled via your smartphone. Just equip it with the Smart Implant. The Smart Implant is currently the only solution on the market that harnesses Z-Wave technology to transform ordinary and out-of-date appliances, into powerful devices that are compatible with the FIBARO Smart Home System. FIBARO Home Center is a new mobile app for smart home system. The most visible advantages are the exceptional transparency and ease of use, but they are not the only ones that make the product revolutionary. The mobile app is equipped with machine learning which opens up unprecedented possibilities for owners of smart home devices. Users will receive a smart assistant who will learn their daily behaviour and habits and then suggest specific actions involving smart devices, predicting the needs of the household. All the visitors at ISE 2019 will find FIBARO at the Z-Wave Alliance booth 9-E150.